3 Sheets - 18.5" x 26.3"
Dimensions: 3 Panels - 18.5" x 26.3"
No matter all the latest fashion trends, nature is still tops. Zebra print is an every-trendy design that can go on all matter of clothes and college stuff, from dorm laundry bags, to hanging shelves, to college cosmetic cases. 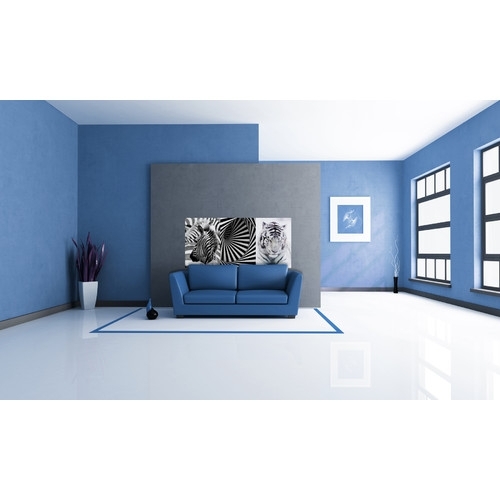 If zebra print is your thing, this Black and White Designer Panoramic Wall Art - Peel N Stick is perfect for bringing some dorm wall decor that will liven up that bland dorm room with your favorite pattern. Even if you're not all about zebra print, you can't deny that it's a great pattern. 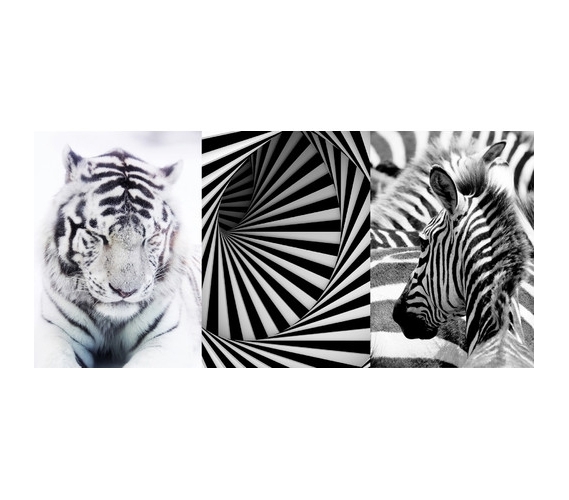 Black and white zebra stripes, along with the tiger stripe, can be used in combination with some other college wall decor to create a unique and captivating collage of dorm decor. Since zebra is black and white, it will match with anything! If you're combining these dorm decorations with other college posters and wall decor, it'll look cool, no matter what it's matched with. The nice thing about decorating your dorm is that there's really no limit to your dorm room decorating ideas. Put whatever you'd like on those walls! Truly, all dorm supplies have some limits as far as what you can choose or create—but not your college wall decor! So take advantage of that freedom and incorporate this wall art as part of your decorations for your walls.